Step into the magnificent grand theatre and find a seat, as the show is about to begin! This latest online casino game by Foxium offers you the chance to win up to 4000 times your bet, as The Great Albini performs incredible magic tricks before your eyes. Enjoy the mystical soundtrack as The Great Albini takes to the stage, conjuring combos and rewards with a twirl of this cane and a flurry of cards. For other fun UK online slots, head to Wizard! From their studio in Tallin, the developers at Foxium bring to life fruit machine games with captivating narratives and engaging storylines, played out through high-quality graphics. Aiming to break apart perceptions of the limits of online casino games, Foxium pride themselves on presenting unique gameplay with recognised quality and finesse. Since 2015, the developers have been pushing themselves to create immersive and creative worlds, filled with intriguing and captivating characters. Check out our slot games online today created by Foxium. Racing through the busy streets of Las Vegas, a decadent vintage car pulls up outside the grand theatre to the cheers of adoring fans. A sudden burst of purple smoke clears to reveal The Great Albini, who wows the crowd with a burst of falling golden stars. The Great Albini opens the car door to reveal his glamorous assistant, who leads the way into the majestic theatre. Before the curtain falls, try the best slots now! The real magic of this online slot game is the potential to uncover three mystery boxes and to unlock the ‘dazzling win’ feature. During any random spin, it is possible to land three matching mystery boxes on the central reel, activating an incredible respins feature. 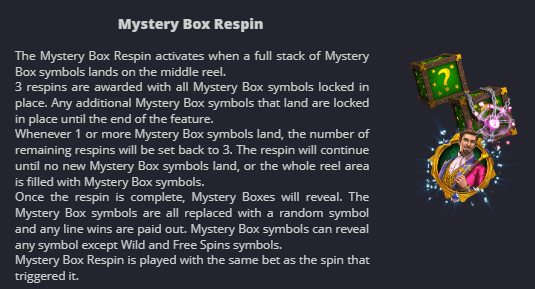 With the mystery boxes locked in place, you are rewarded with three additional spins. Every time you land a further mystery box symbol, the spin counter resets and you are awarded three more spins, as shown by the mystical purple orb spin counter in the top left-hand corner of the screen. The mystery box symbols that you uncover remain in place until the end of the feature, where you are rewarded with a jaw-dropping ‘dazzling win’ and coins flurry across the screen. 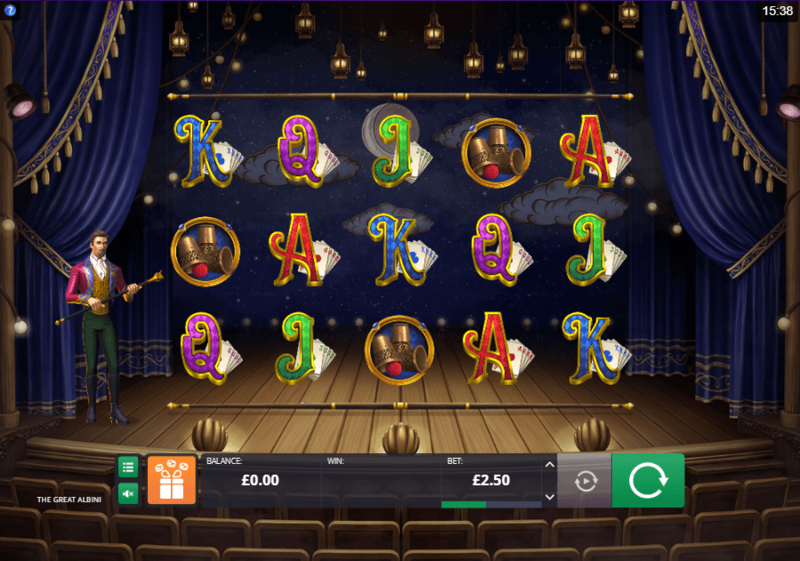 Another exciting feature of this online casino game is the free spins feature, where the pay lines increase to 50 and there is the potential to win 12 free spins. The player also has the chance to win multiple free spins with the new bonus box Aztec Lady feature. Unlike more traditional online fruit machine games, this immersive innovation from Foxium offers engaging gameplay, a fascinating storyline, and mysterious characters. With the chance to win up to 4000 times your bet, and the fantastic mystery box, free spins, and bonus box features, this game is sure to captivate its audience, in the same way that The Great Albi mystifies his adoring fans as he appears in a puff of purple smoke in the opening scene. If you enjoyed The Great Albini, why not try 100 Joker Staxx?